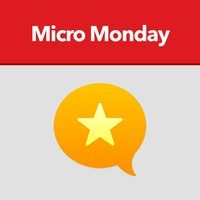 Jean: Hey, it’s Micro Monday again, the weekly microcast where we get to know members of the Micro.blog community. I’m Jean MacDonald, Community Manager at Micro.blog, and I’m really happy today to welcome Halsted Bernard, who’s @cygnoir on Micro.Blog. Hi, Halsted, welcome to the podcast. How are you doing? Halsted: Hi, Jean. Thanks for having me. I’m great today, I’m really excited to be here. Jean: Me, too. I’m really excited to talk to you. I’ve been following you for quite a while, and you do a lot of interesting things, which I am looking forward to hearing more about, and I’m sure the listeners are as well. So, why don’t we start off with you telling us a little bit about yourself. Halsted: Sure. I’m I’m a librarian, and I’m a library manager in a public library just outside of Portland, Oregon. I also write mostly speculative fiction but some nonfiction, and I’m an avid reader. I have tons of other interests that I microblog about, like gaming and linguistics, and virtual reality and fountain pens, and cooking, and I could be here all day, rattling them all off, but I have a lot. My husband and I live in Portland, with our 21-year-old cat, Zen. Jean: Aw, kitty cats; they’re nice. It’s hard to say if cats or dogs are the official pet of Portland, but it depends, I guess, who you are. Halsted: I think it’s dogs, from the number of dogs I see when I’m out and about, but I’m both a cat person and a dog person, so I’m happy with that. Jean: Yeah, me too. Well, you don’t see all the cats because they’re hiding from you. Jean: Dogs are not smart enough to hide. No, I take that back. I love dogs. I don’t know why I said that. Jean: Let’s get on with this podcast before I get dog hate mail. Jean: Well, tell me about when you first heard about Micro.blog and what made you want to join in on the fun that we have there. Halsted: I think I’ve narrowed it down to some time this past January. I was looking at Belle Cooper’s Twitter because Belle and Josh Sharp make this amazing quantified-self site called Exist, that I’ve used for years, and I’m really really into Exist. I love quantified self stuff. I probably should have rattled that off with my interests. I love Belle’s Twitter presence as well. She has tweeted in the past about planners, and I am a stationery fan and a planner fan. So, I was probably either looking for planner pictures or information about Exist, and she tweeted about setting up a microblog, and I had not heard the word microblog before. When I hear a word that I haven’t heard before, it’s either the librarian part of my brain, or it’s the writer part of my brain—I immediately have to know what that word means. I clicked on her microblog link, and it took me to Micro.blog, and I immediately got sucked in. It was just so compelling how easy it was to set up and how welcoming everyone in the community was. When I had any questions at all, either just posting directly to Micro.blog or in the slack channels, I got an immediate response, or I sent you and Manton some emails, as well. Everyone was just so helpful and so welcoming, and for someone who is tech adjacent—I mean, I’m tech knowledgeable, and I’m sure that the people in my life would call me tech savvy, but I’m really tech adjacent. I didn’t expect such a warm welcome from so many seemingly techie people. I’ve definitely been in online communities before, in which it was predominantly tech focused, or there were a bunch of tech folks populating it, and I haven’t always felt as welcome. So, I was very impressed with how welcoming it was and how easy it was to get started. Jean: Oh, that’s cool. I’m really glad to hear that because you know, I like that too, and I have experienced what you describe, coming from the other side of the Internet, where people are either not helpful or actively dismissive. [laughs] We don’t do that, and we try to foster a community where that’s not cool, to be dismissive. Now, did you have a blog at the time before you jumped into Micro.blog. Halsted: I did. I’ve had a website in some form or another since 1996. I’ve been very passionate about the web since I first discovered there was such a thing as the web. Starting in, I think, May of 1998, I started what was then called an online journal. All of those entries from the various platforms I’ve tried—Live Journal, Grey Matter, Moveable Type, WordPress, homegrown stuff—all of those posts are still archived at my website CYGNOIR.NET; that’s about 3,000 posts. I should go back and reclassify or categorize some of them as a good librarian, but I don’t have the heart at this point, but someday I will. I do still post there from time to time. I most recently did a Project 365, a kind of a photo blogging concept, that I really enjoyed doing. Generally, I save that for longer-form posts, and I’m not quite sure why. I would really love to be able to integrate my microblog into my website proper, but I haven’t figured out how to do that to my satisfaction yet. I know there are ways to do it, and I just haven’t figured out the way that works best for me. Jean: Yeah, I understand. I go through it myself, too. I had a website that was a web journal of my own creation when I was traveling back in 2001, and that’s still available somewhere but not really easily accessible. I should make that accessible because it’s kind of cool from when I was teaching web design in West Africa. I have started WordPress sites. I have tried different ways to blog as it were, and I am definitely one of those people for whom Twitter became a kind of substitute for blogging. I dropped out of being that interested in setting up something that was harder than that, so I do like that Micro.blog is easy. Now, one of the things that I was really interested in, and I mentioned this when I emailed you about coming on today, so I hope you want to talk about it, was that you had set up a hangout with Serena in Melbourne to journal together at the same time, and I’m curious about how that how that got going, and and how it went. Halsted: Oh yes, I’m totally happy to talk about that. I started following Serena, I think, because she posted either something about books, games or stationery and planners, or maybe all three. I said that’s my kind of person, right there. I posted to Micro.blog, I think, in early July. I had a friend visiting, who also likes to write in an offline journal, longhand, and paste in mementos. It’s not quite scrapbooking, but it’s just the creative use of ephemera, writing, and typography, and he is an excellent calligraphist as well. In the mornings before we would get going with the sightseeing portion of the trip, he and I would sit across the dining room table from each other and have a cup of tea and journal. It was such an amazing, relaxing way to start each morning; I posted about it, and Serena said, “Oh, I did something similar where we did a Google hangout for scrapbooking and I really liked that. I wonder if we could get something like that going for Micro.blog folks.” So we tried it, and we had a Google Hangout. It ended up just being the two of us, and we honestly didn’t get a whole lot of journalling done because we were just talking. I was so curious about her life. I knew almost nothing about her day-to-day life or what drew her to Micro.blog. We talked about that; we talked about some of her time living abroad. I’ve also abroad; you’ve lived abroad. You know, it’s it’s fascinating to me. One of my interests being linguistics and sociolinguistics, I love speaking with people who are also speaking English but who have non-standard English, not American English because I’m always collecting phrases and words that people use in different cultures. So, just from that aspect, to speak to someone from Melbourne was fascinating. it was a wonderful time; we spent about an hour together, and we vowed that we would try it again after she is back from her trip. I think that we could definitely make this a regular occurrence for the Micro.blog community. I think it’s really wonderful. Because I work in a public library, I feel very passionate about places where people are that aren’t work or home—so, the third space concept. And places where people can share and join each other in community that isn’t necessarily traditional or what we think about. I think creating that virtual space where people can be—the pressure isn’t to be clever or to talk or to answer questions or anything. It’s really to share a creative moment with other people who are doing the same thing. I think that can be very interesting and inspirational, so I hope we do it again. Jean: That sounds really cool, and I do believe there are some other people who are interested in checking this out with you, too. I should say Serena, who is @vishae on Micro.blog, in case people want to follow her as well. I did a Micro.blog interview with her. She was one of the first batch of people I talked to. I could have talked to her for an hour easily. I think I did. Now that I think about it, I think I had to edit that one quite a bit to make it into the more micro side of the spectrum for the microcast. She has a lot of really interesting things going on. We’ll figure out a way to make sure more people know about it, but it sounds like this kind of thing, too, where you start with a couple of people, and you slowly add on. You don’t want 100 people showing up on day one. Halsted: Well exactly, and I appreciate that you also posted about it, so that people who follow you but don’t follow me or Serena saw it. I could have done a better job marketing it initially. I didn’t know what it was going to become that first day. I wanted to see if organically, we attracted people, or just each other, with whom it really clicked. I think that we did, so the next one will definitely be talking about more and bothering people about more. I already have people who have responded to me and said that they would be interested in participating in the next one. I’ve collected all of their names into a little note, so I know to let them know about the next one. Jean: Oh good. Well, that sounds really cool. Well, besides finding people who are paper-and-pen obsessed, what are some ways that your are using your microblog account? Halsted: I’m using it like I used to use Twitter before I got profoundly bad at using Twitter, and I’m blaming myself and not the platform for that because I really struggle with saying what I want to say without obsessing over how it will be received. So, with Twitter’s retweets and likes, I’ve gotten really wrapped up in whether or not something I wrote or a photo I took or a article I liked was good enough to add to my followers’ timelines. So, again, I’m not saying that Twitter is, in itself, inherently bad. It’s certainly problematic as we’ve seen, but it’s still somewhere where I can find people creating and sharing incredible things. It’s where my husband, FunkyPlaid, shares insights from his historical research. It’s where my friend Shark Sketchbook shares her awesome artwork, and it’s just a wonderful place to see what other people are creating and connect with them. But, it’s no longer where I share what matters to me, so I’ve moved all of that to Micro.blog, and I’m I’m really glad that I have. The community is outstanding. I already talked about how thoroughly I was welcomed when I joined even before I shared much of anything, which made me feel like a person and not a product, not a collection of hashtags, or what I’m interested in, or what I’m about, or what I can do for someone else. It keeps getting better, in my opinion. We have civil discourse on a wide variety of topics. We share a love of stationery; we support each other through rough times; we make mistakes; we learn, and we grow from it. I think it’s a really amazing place to be online right now. I love the fact that there are no follower counts, no retweets, no visible likes to rack up. If I want to agree or disagree with someone, or I want to ask questions or raise concerns, I have to engage directly. That’s teaching me. I’m re-learning how to be a thoughtful conversationalist, and I think I really lost that in my use of social media over the past 10 years. Jean: Wow, that’s an incredible insight. I agree with the notion that you outlined so eloquently, that without the follower counts, likes and retweets, we can stop worrying about whether something is worth putting out there in the eyes of our followers. Well, before we wrap this up, is there anything else you’d like to add to that or talk about your cat or libraries. We could go on. I haven’t talked to a librarian like this in a long time. So, part of me wants to ask you a hundred questions about the library, but that’s a different podcast. Halsted: I would love to talk about libraries with you, Jean, anytime, any day, anywhere. I would like to give folks a Zen update because people have been so lovely asking after her. She has had some health issues lately. She is doing great. She’s about to turn 21 and a half, and she is showing very few signs of slowing down. I’m hoping that she’ll stay with us for another 21 years. Maybe not. She’s doing great. On the librarian note, I would like to say that I have the distinct privilege of being the fantasy and science fiction subject selector for my public library. So, if you had any fantasy and science fiction books that you have read lately that you want to send my way, recommendations, please do. I love reading fantasy and science fiction, so I’m open to them, as well, but please send them my way. Jean: Well, your timeline is going to get some hits, I think, from our community. That’s really cool. Well, thanks again so much for being here to chit chat with me, Halsted. Halsted: Thank you so much for having me, Jean. This has been a pleasure to speak with you. I love being a part of the community, and thank you for being such a great community manager, as well. Jean: Thanks so much. If you want to follow Halsted on Micro.blog, there’s a link in the show notes, or you can go to Micro.blog/cygnoir. Thanks for listening, and we’ll talk to you next week. Bye!